Skidoosh! It's time for another AFA Podcast, and this week Rachael and Jill are here to discuss the third part in DreamWorks Animation's Kung Fu Panda series. Before that we hear about Jill's adventures at last year's CTN Expo and the latest animation news and some serious Star Wars Rebels discussion. Other topics include The Miraculous Ladybug and One Punch Man... then it's on to Kung Fu Panda 3! 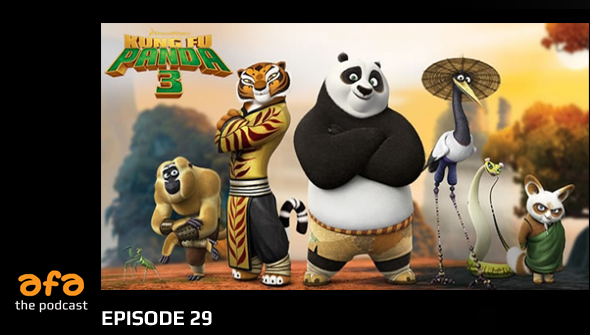 Warning: This episode contains some spoilers for Kung Fu Panda 3 (and also the first two films! ).